Grease, grime and dirt love to build up on extractor hoods. It’s one of nature’s laws. Because your cooking hood lives right above your hob and its primary purpose is to draw up the smoke or steam that your cooking food gives off, there’s no avoiding it getting slightly greasy over time. What can be avoided, though, is a thick layer of grease building up and making it both dirty and less effective. The longer you put off cleaning your extractor hood and filter, the less effective it will be and the harder you’ll have to work to get it clean. 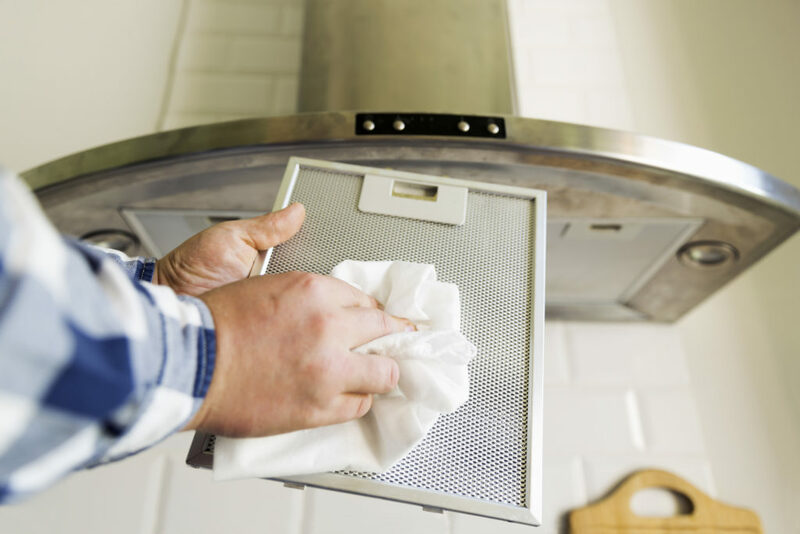 Be proactive and get your extractor hood back to full working order by following our guide to cleaning both the hood itself and the important filters. Extractor hood filters are the fine mesh grates that are on the underside of the hood. They serve to keep all of the grease that cooking smoke contains out of the extraction vents to avoid them being clogged and more expensive cleaning tasks being necessary. It’s not just the filters that can get dirty, however. The surface of extractor hoods also pick up a layer of grease over time and dust can collect too, creating a sticky, fluffy coating on what was once a pristine surface. Most extractor hoods are made of either stainless steel or glass, so we’ll cover both here! 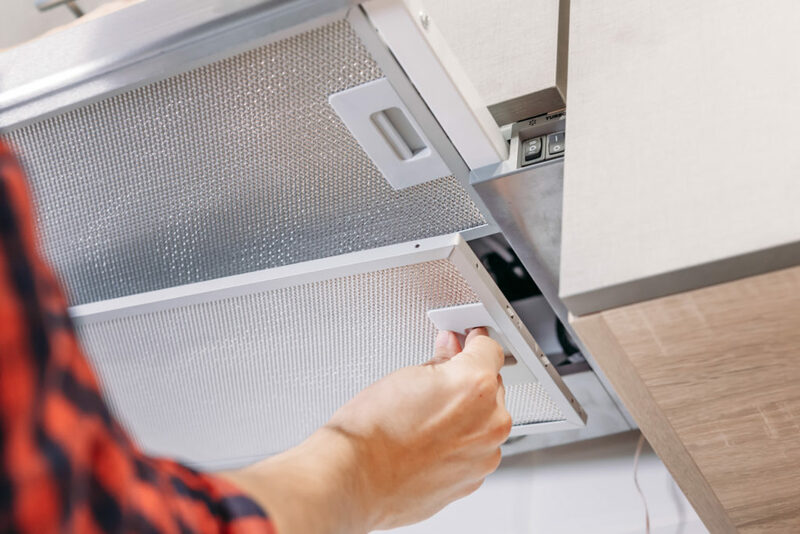 If you cleaned your cooker hood because it was under-performing and you thought it might be a build-up of grease, but it’s not helped, it might be an internal fault with the motor or control switch. We offer extractor hood repairs across the country, so get in touch if you need help and you can get back to having a fresh smelling, smoke-free kitchen in no time.